It is always tempting to judge the value of your adviser on the recent performance of your investment portfolio. That is unfair as it fails to understand the true value that a good adviser delivers (leaving aside the valuable financial planning advice that they also provide) and the fact that no manager can control the returns that the market delivers. 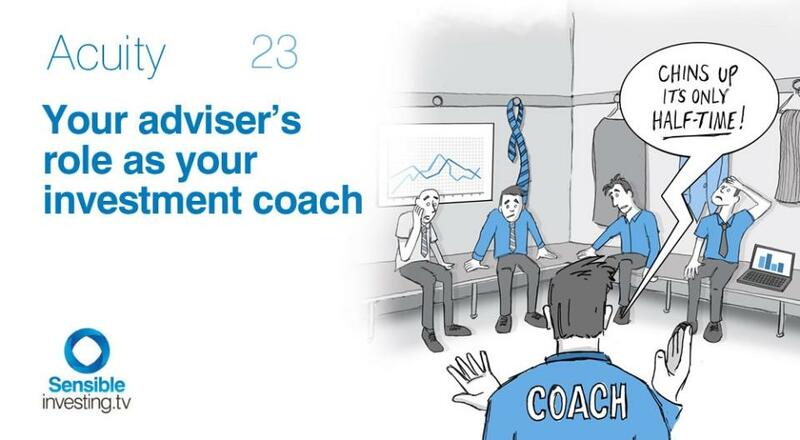 A good adviser will act as a foil to avoid the dangerous combination of investor emotions and bad investment ideas. They can earn their ongoing fee several times over simply by helping clients to have patience, fortitude and discipline in their investing. In this volume of Acuity we explore the true value that an adviser can bring to your investment programme. Based on my experience this statement is so true. If 50% of a Advisors role is to do the number crunching, the bal 50% us to be the Financial Coach. Why??? Simpky because the clients need to remain in the path to achieve their goals.So with oroper coaching you can bribg out the best from the client. The role of investment advisor is ever emphasized by the rolling over periods that they have added into someone’s business with much of success. Prior portfolio of them helps us to determine whom to go with. Professionalism should never be the constraint in picking out them. One’s judgmental skill can get them the most viable advisor.